My German lessons at school mostly consisted of having a laugh with my friends and getting in trouble with the teacher. Languages weren't my thing, in fact German was the only GCSE I actually failed, embarrassingly! Even a week's trip to Berlin with my class didn't help and we all spoke English for most of the trip. 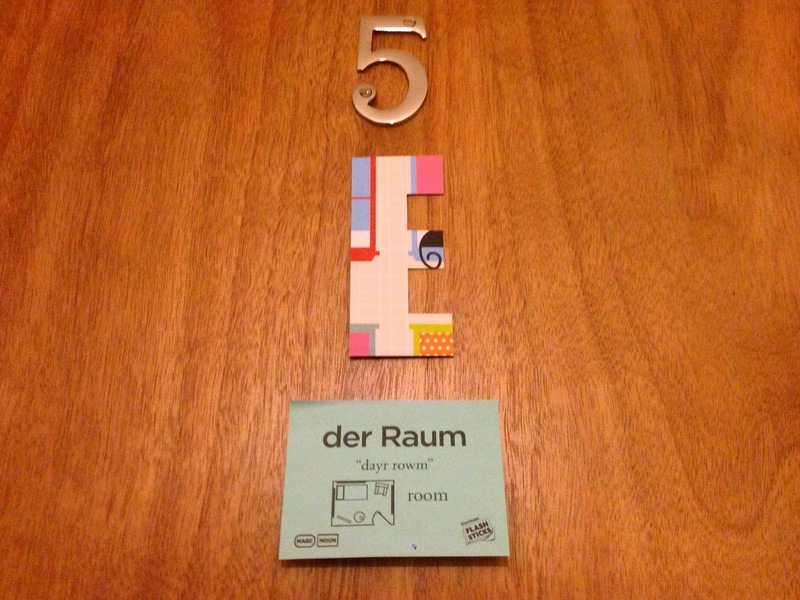 Now I'm an 'adult' I realise I really should have tried harder especially after realising how little German I remembered on my recent trip to Berlin. I'm also really jealous of all my friends who can speak another language, especially the ones who are fluent! I've been wanting to attempt learning a language again but I didn't want to pay lots of money for something I might be terrible at and would take up lots of my time, and that's where FlashSticks comes in. FlashSticks are a company that wanted to come up with a easy, fun and creative way to help people learn a foreign language. We all know post it notes are awesome, you can stick them anywhere and they work perfectly for learning a new language. FlashSticks are currently available in Italian, Spanish, French, Mandarin, English, Portuguese, British Sign Langauge and German which is what I went for. I figured as I already had a basic knowledge of German from my GCSE lessons some of the phrases and punctuation might come back to me. 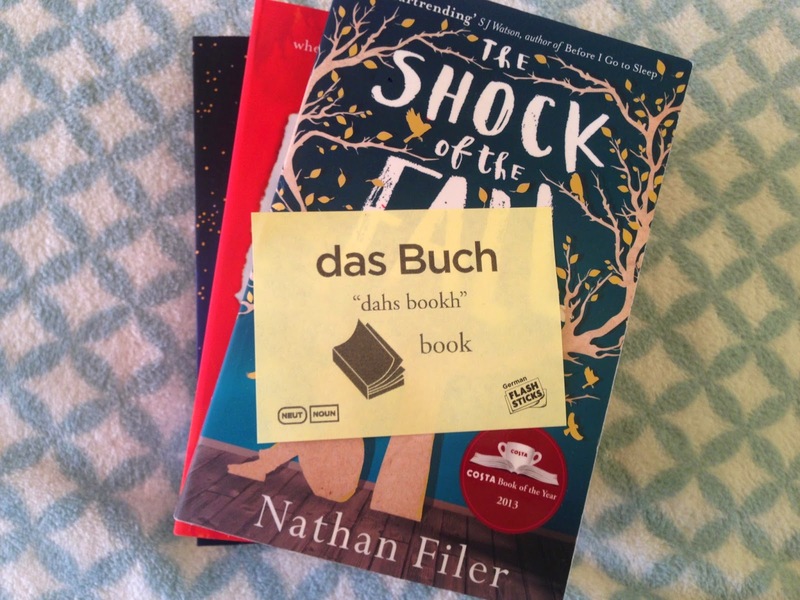 I received the FlashSticks German Beginner pack* which like all of the packs contains 100 unique words organised into categories. Blue for masculine words, pink for feminine words, yellow for neutral words and green for other words, having the words categorised definitely helps and gives some variety. Each FlashStick has the German word written at the top with a simple phonetic underneath to help with pronunciation then a picture and the word written in English. I think the best thing about FlashSticks is that you can stick them anywhere and it brings learning a language into your every day life. You can stick them on the things they are so every time you see or pick up that item you're reminded of the foreign word and can give it a quick practice and eventually it will get into your head. Obviously a lot of the words aren't going to relate to physical things you may have, for example you can hardly stick one on the sun or walk around with one on your glasses all day! 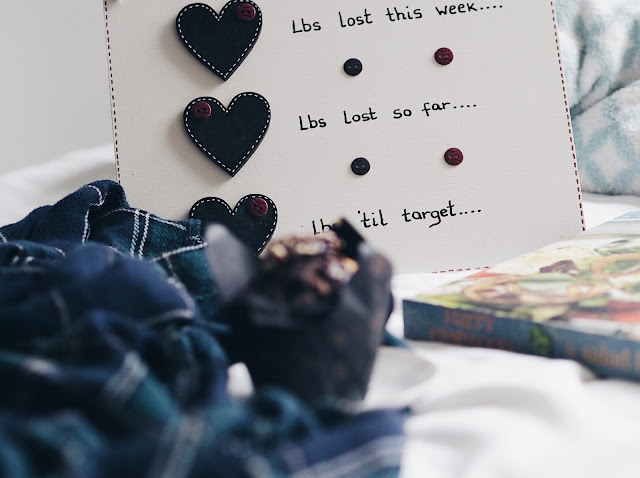 I've found that having random words stuck in areas I see every day such as my wall or mirror means I can practice them as and when. I've been practicing these words while I've been doing my makeup and I've switched them up once a week with different words just to have a change. You may be thinking FlashSticks sound great but what about learning pronunciation? Don't worry they've covered that as well! All you need to do is download the free FlashSticks app, hold the camera over the individual post-it which it will then scan to find the word and then it shows you a video of someone slowly speaking that word so you can hear the proper pronunciation. This is a really great idea and is really easy to use, the app registers the word quickly and the video is only a few seconds long. Although you're not going to be able to hold a conversation in German with one of these packs it definitely would help with the basics such as numbers, colours, basic phrases and words. FlashSticks also do Intermediate and Advanced packs which would help you improve even more. I think these would work best alongside learning a language rather than on their own, but they're great for anyone wanting to learn the basics in a really easy way that doesn't take much effort. I'd definitely recommend these to anyone currently trying to learn a language, or anyone who just wants to get the basics of a new language down. Once I've got these basics into my brain I'll definitely be looking into the Intermediate pack, I'd also love to try the BSL pack and learn some sign language. The FlashSticks packs cost £4.99 each and are available to buy online, on Amazon, or at WHSmith's. They also have a great blog with articles and advice on learning a language. I'd love to know if you can speak another language, and if you can't what language you'd love to be fluent in? 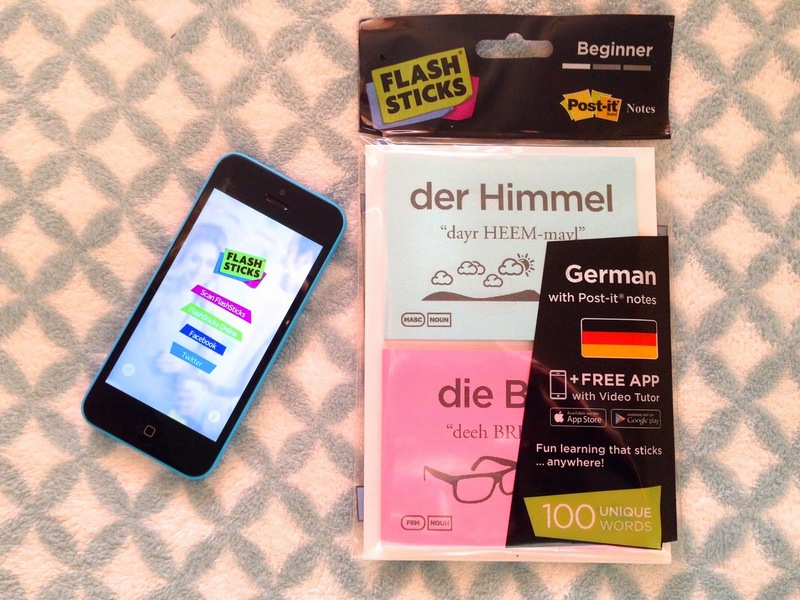 FlashSticks provided me with the German Beginners pack for review however all my opinions are honest and my own. This is such a fun idea! I love languages, I studied French at school and would definitely consider something like this to take it back up again! These are great! I speak French and try my hardest to keep up my skills by watching French news channels and reading articles in French online - plus the odd French film. I also studied Italian for 5 years and these would be quite good for reminding me of a lot of the vocabulary I seem to have forgotten. I love studying languages - I really miss my language lessons from school! These look like such a good idea! I can hardly remember any german either! These photos are brilliant too, especially 'Die Brille'. Love it hahaha! I definitely want to try something like this! I had heard a long time ago someone mention that when she lived in Germany her family will paste sticky notes all around the house. I think this is an awesome & interactive way of learning.